The following is the true story. Mr. John’s house was broken in when he was on vacations. The burglars took the vault out of the wall, leaving a big hole on it. John did install HD IP cameras at the entrance. Unfortunately, it didn’t help. 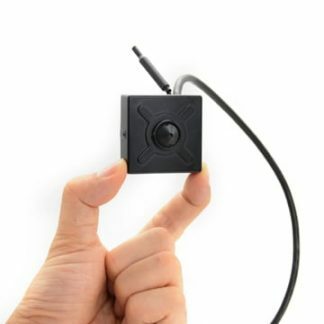 The cameras’ power were dis-connected by burglars. Actually, the burglars didn’t take the further steps immediately, they waited three days to verify no one returned to repair the connection. The conventional CCTV system can be omitted, Simply by avoid the shooting direction or sabotage the connectivity. If John has deployed a spy camera inside the house, it could have provided value information to identify the burglars. 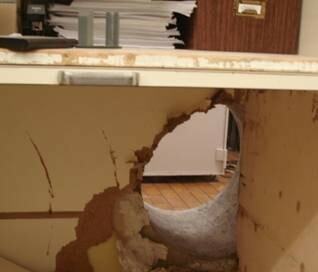 “The burglars definitely took plenty of time to get the vault out of the wall” according to the police officer said. The spy camera is powerful tools to improve your home security. Without knowing the camera hidden inside the camouflage house. It will capture the criminal in surprise. 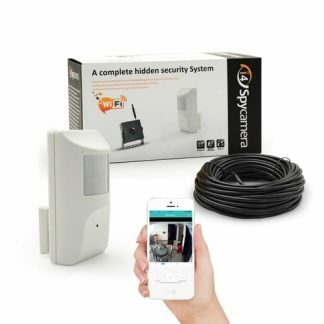 How to use the hidden camera for home security? First of all, You will need to look for a place to hide the cameras in the house. The photo frame, flower vase, book, clock even the tidy bear. Choose the object with less value. 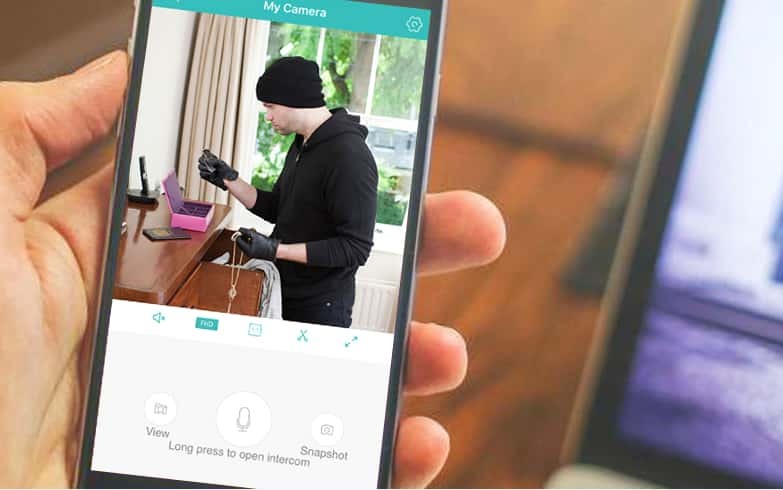 Putting up the camera in a bag may draw the burglars’ attention once they go through it. If there’s no clean shoot after hide the camera, a small hole will need to make on the surface. You can use drill bit at 3.5mm-4mm to drill a hole. 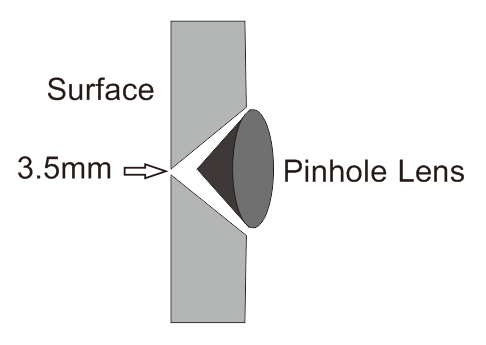 This is the dimension for the typical pinhole lens. Over large size could expose the covert. Reserved a notch on the opposite site may need if the surface is too thick. It helps pinhole lens achieve better field of view. Check the demonstration image below. 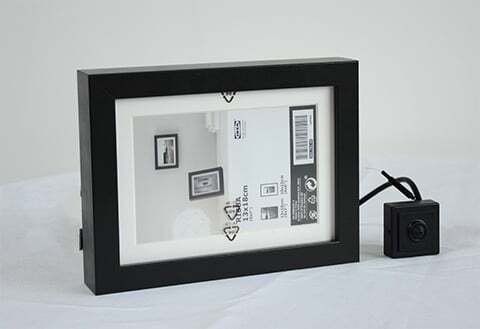 If hiding a pinhole camera is not easy, pick camera with camouflage house, such as smoke detector camera or PIR motion sensor camera. 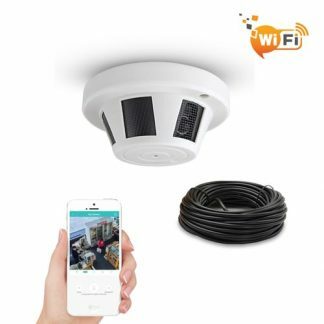 The smoke detector camera is the IP camera hide in dummy smoke detector housing which installs in the ceiling. It is probably the last place the burglars want to look for. The power source is the second thing need to consider. 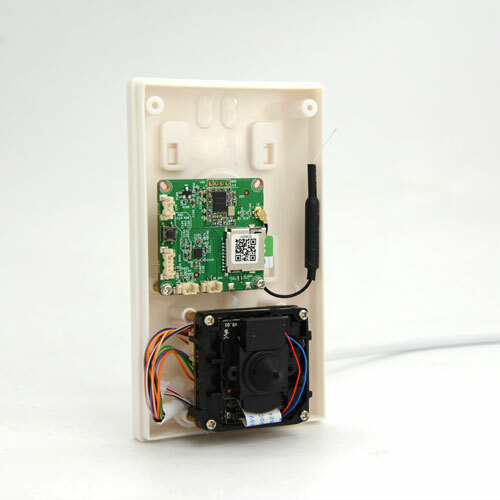 Most of the hide cameras support Wi-Fi , you can connect the camera to the home network thru Wi-Fi. However, The power cord may still required unless it is battery operated cameras. The advantage of battery operated is the camera can be placed to different place without re-wiring a cable, but re-charge the battery could become your routing work. The 6 months standby battery operated camera doesn’t actually work for 6 months. It depends on the change in the sense. Every time when the camera pick up motion in the sense, it will be woke up and consume a lot of battery power. 10000mA full charge battery only can supply 48 hours continuous recording. Normally Wi-Fi signal strength is not the issue when you deploy the camera indoor. If you plan to set up the spy camera outdoor, you should test the Wi-Fi coverage before making any permanently setup. Grab your mobile phone, check the Wi-Fi signal strength around the installation spot, it has to be better than middle. Just be ware single wall can block the Wi-Fi signal seriously. The remote view is the necessary function for spy camera. You may want to check the live video during vacation. 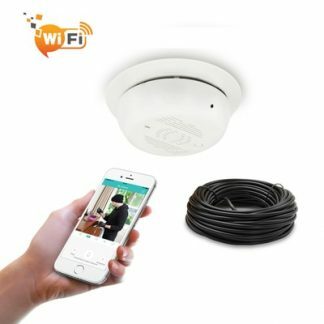 The free app simply can let you watching the live video on the mobile phone or tablet remotely after camera is connected to the home network. Some of the spy camera has motion detection function, which will send a message when the camera detect the change in the scene. The motion detection is not such reliable algorithm. It generates the false alarm, Any change such as flash light, day night switch will trigger an alarm message, but it is still helpful. Image you are on the vacation, you receive the alert message, then you can check live video to verify any possible break in. Motion detection also can be used to save the time to view the recording video. After enable the motion detection recording, only the video with change will be recorded which means what you watch later is only the video with change in the sense instead of the whole week recording files, meanwhile, it saves the memory space as well. The motion detection function can be scheduled or turn on/off by mobile phone app. When you are on vacation, you can enable the notification function to send message to the mobile phone even the false alarm message is included. The mission of spy camera is to deliver image detail for evidence. The image quality of spy camera depends on not only the sensor, but also the quality of the pinhole lens. Sometime, the pinhole lens plays more important part, because the lens is tiny. Source the high quality pinhole lens is not easy. The image will still look fuzzy if low quality pinhole lens is mounted to 2 megapixel sensor. Do you need night vision? It depends. If the spy camera work as primary surveillance. The night vision is necessary, or the camera will go blind at night. Night vision is another challenge for the spy camera, the pinhole lens is so small. Only few light can pass the lens. 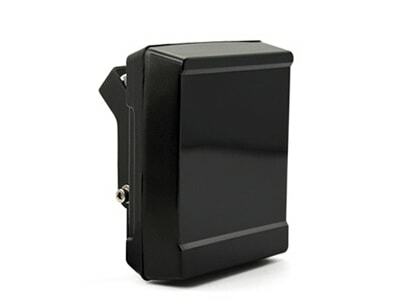 Unless the spy camera has built in high power infrared LEDs, otherwise the night vision performance is poor, but high power LEDs generates too much heat inside the plastic housing, Consequently it shorten the use life of the camera. External infrared LED lamp is the solution. Keep the infrared LED separate from the camera, you can use high power invisible LEDs lamp. The video need to be recorded, so it can be playback or exported for evidence. TF memory card recording is the most cost effective solution. The footage will be recorded to TF memory card keep inside the camera. It doesn’t involve in any other external devices. The TF memory card support is limited to the 128GB in the market which can provide 10 days around motion recording. It depends on the change in the sense. If you want to keep the footage longer, the standard alone NVR or VMS software are the solution. The compatible issue has to be addressed before you plan to integrated spy camera to 3rd party recorder. Onvif protocols is something you need to look into. ONVIF is an open forum that provides and promotes standardized interfaces for both IP devices to communicate each others. If both cameras and recorder support Onvif protocols usually have no issue to work with each other. The TF card can work as backup recording even after the spy camera is integrated in case the whole IP camera system is compromised. After you setup the your spy camera system, don’t forget to return and check regularly. Login the app on your mobile phone, you are able to watch the live video. One important thing is checking the recording function as well, not only the live video, making sure the camera is actually recording. You can see the live doesn’t tell it is recording as well. Only if you can view the recorded video.